Everyone has surely watched either a Disney movie or any of the other types of movies that would be set in a castle. I think everyone has a general fascination of castles, whether it’s the romanticized view of Prince Charming or Cinderella, or the imposing structure it can seem to be against invading armies. Whatever the case may be, castles are not fictional objects created in the storyboards of movie directors, but they really do exist. When one thinks of castles, Europe has to be the first thought that comes to mind to see castles. Throughout Europe, many castles exists: from Ireland, through central Europe to Turkey. 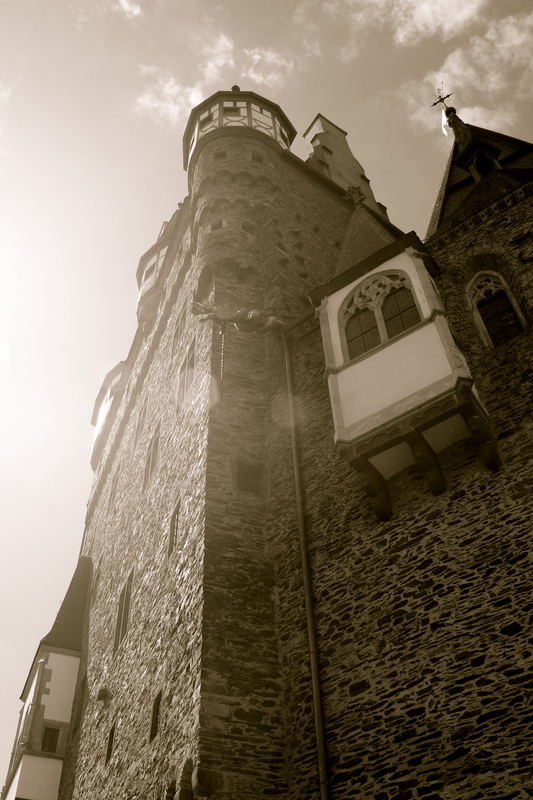 Each castle is in varying states of grandeur, size, and retains its place in history. Examining the history of Europe, it is easy to see all the fighting that has occurred over the thousands of years. As a result, some castles have been totally destroyed or damaged. Some of the towns or family owners have made attempts to restore and maintain their castles as a since of pride and history for the region. And, because of this effort, we can still see these historical castles today! Living in Germany, especially southern Germany, it is very easy to see a castle: large or small. A quick Google search indicates there are 146 castles in Germany. There is even a scenic road in Germany designated as the German Romantic Road, in which you can drive through small, quaint villages and see imposing castles standing over the landscape. Or, you can take a Rhein River Cruise, especially the middle Rhein River, where you will see rolling hills on either side of the river with various castles standing guard. 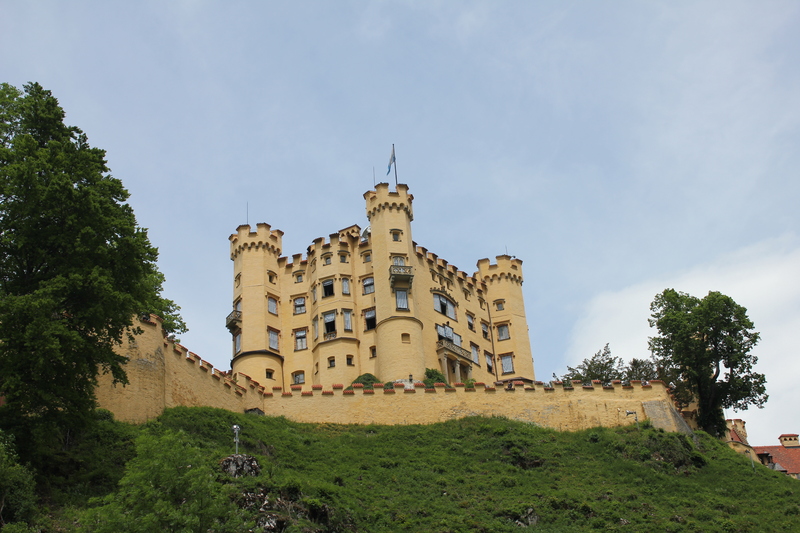 Four castles we have visited in our time here in Germany are Hohenschwangau & Neuschwanstein castles in southern Bavaria, Heildelberg Castle, and Castle Eltz in the Rheinland-Pfalz area of Germany. The first two sit together and can be visited in one trip. 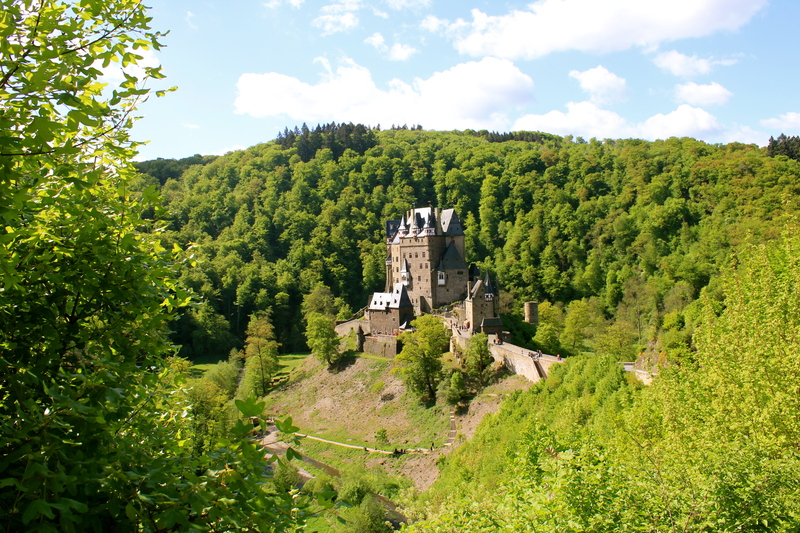 Heildeberg is an hour south of Frankfurt, and Eltz is about 30 minutes west of Frankfurt. 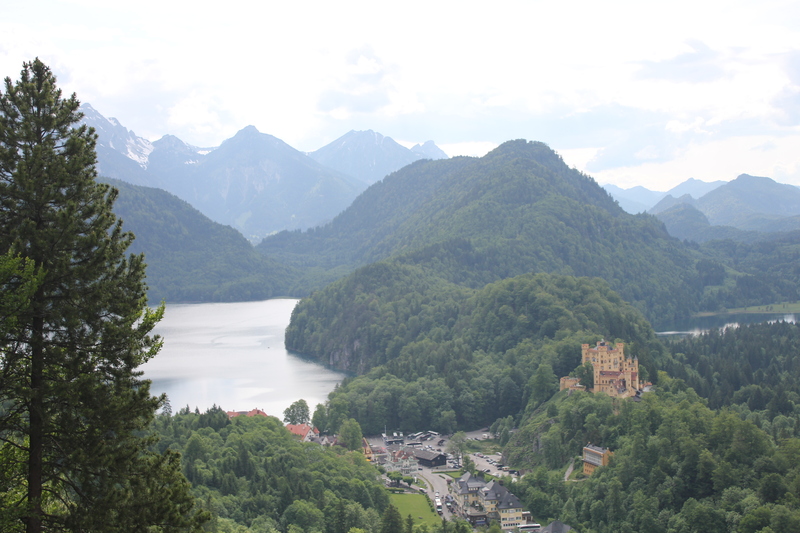 King Ludwig of Bavaria, while living in Hohenschwangau Castle, as a child envisioned his dream castle to be built on the neighboring mountain top. 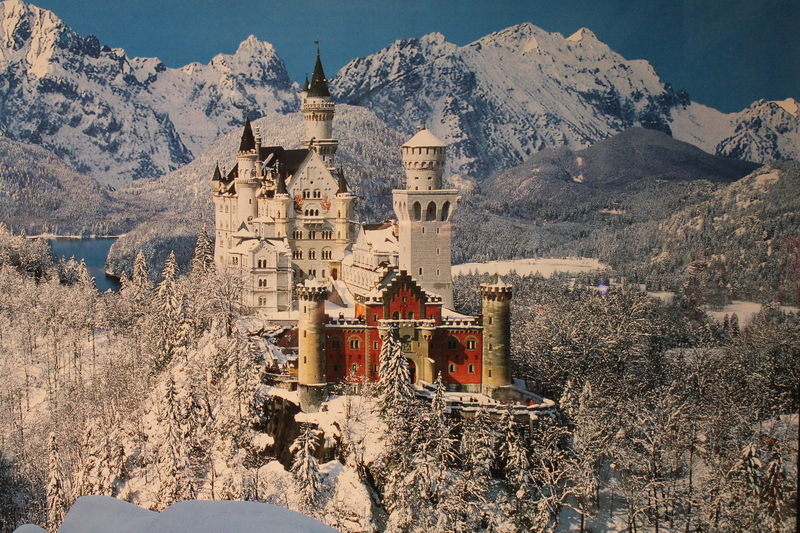 As King, he went about building his castle, and Neuschwanstein became a reality. Unfortunately, he only was able to live in his castle a little more than a month before his untimely death. 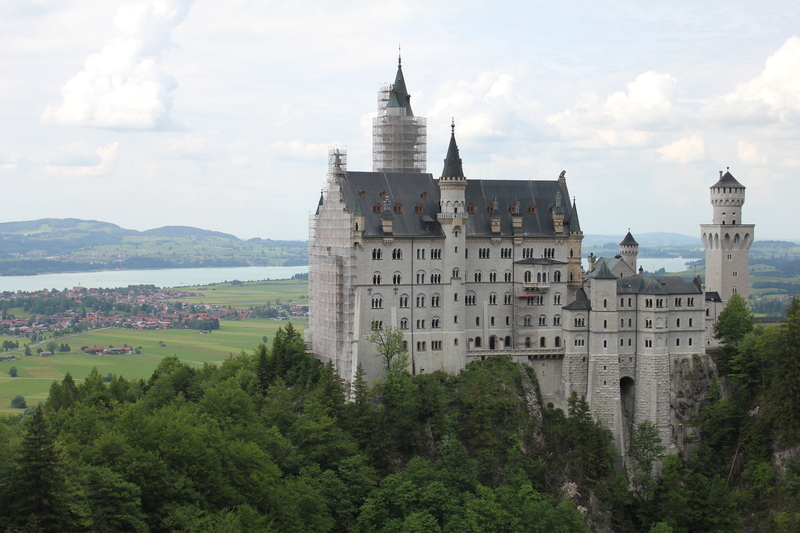 Neuschwanstein is absolutely stunning. When one thinks of what a fairytale castle should look like, this is it. So much so, that this castle was used as the model of Sleeping Beauty’s Castle at the Disney theme parks, and we all know how iconic that is with Disney! It truly is a magical site to see this white castle, standing on the mountain top with the Alps as its backdrop, and flat farmland in its foreground. 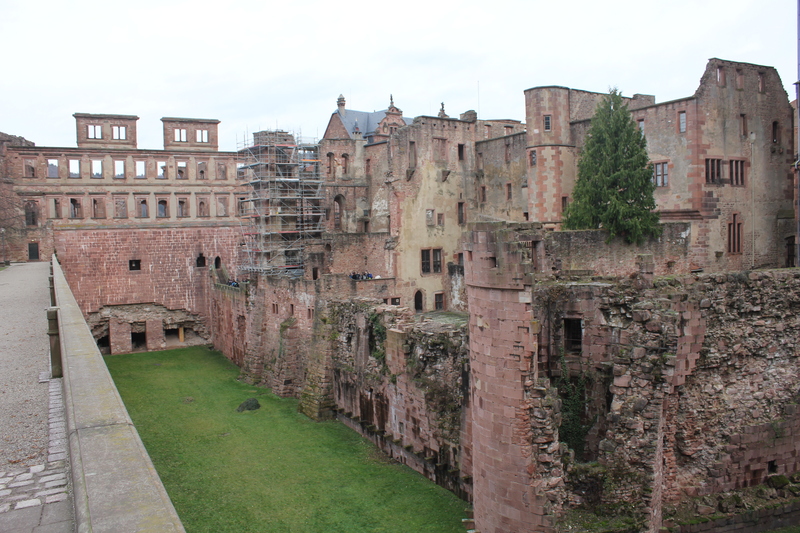 In the city of Heidelberg, which is just south of Mannheim or about an hour south of Frankfurt, are the ruins of Heidelberg Castle. 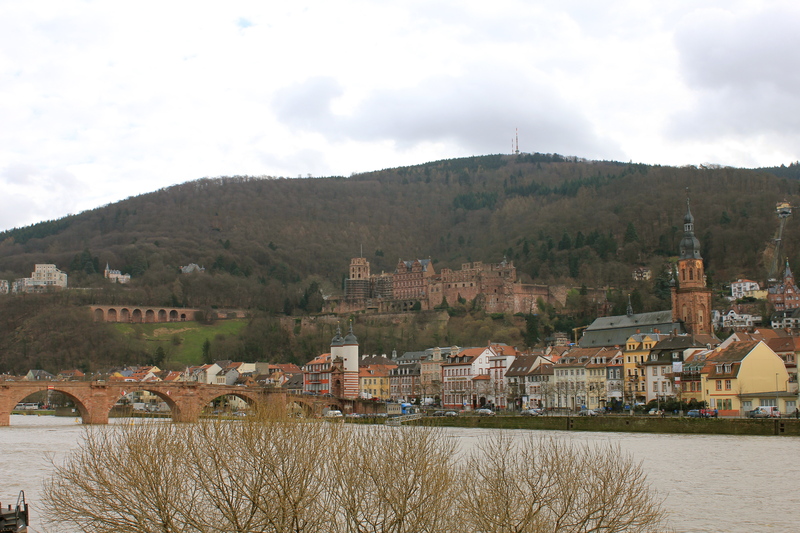 This castle was built in the 13th Century, but destroyed with during the Thirty Years War between Protestants & Catholics. During the 17th & 18th Century, restoration efforts were underway for the castle, which today makes for a great destination to see the castle & its gardens. Castle Eltz is to not be outdone! In fact, this castle may be the most preserved Middle Ages Castle in all of Europe. 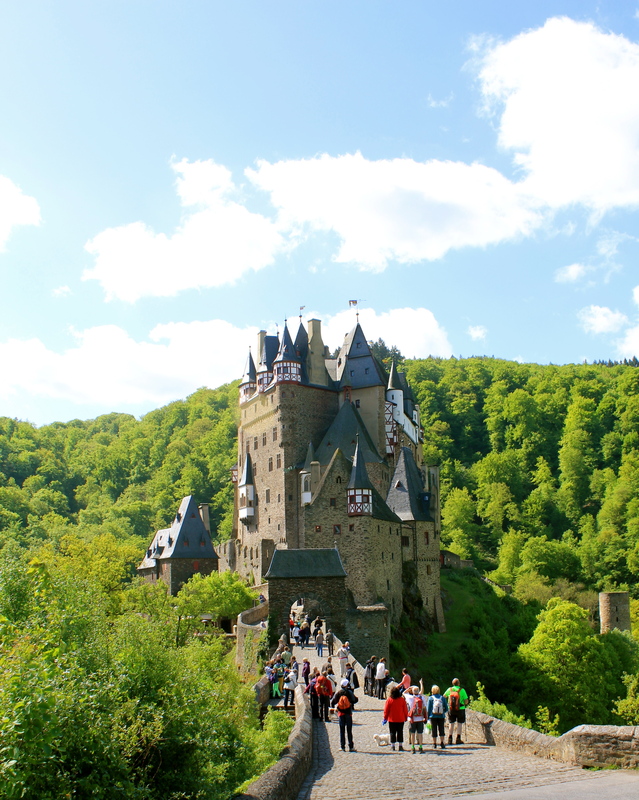 So much so, that even Rick Steves has said that Eltz is his favorite castle in Europe! Elz is over 850 years old (in comparison to the other two that are 200+ years old). It has remained in the same family for 33 generations, and was never damaged in any conflict. As such, it still remains almost identical to the way it looked back in time. It is such an iconic feature, that this castle use to be the image on the 500 German Deutschmark currency before being replaced by the Euro. What is unique about Eltz, other than its Medieval charm, is that instead of sitting high on top of a hill, it sits perched on a small hill inside of a valley. It is a very compact castle, but you can see how its size helped keep it standing for all these centuries. These are just four of the castles we have visited, and we highly recommend their visit! If you close your eyes when there, you can almost hear the sounds of what life had to have been like back then. And, instead of walking around a movie set or theme park, you will be walking through an actual castle that its myth and legend has withstood time for centuries, and have become the stuff of fairytales.